Looking at the location of this place, its just around the corner from the phone exchange, so its in a VDSL zone. i count 350m by road either way around the block, so i estimate 600m max as a safe estimate. Which i groaned when i saw, because everyone knows how old these things are and what the materials and condition can be. So question is - Can this be bypassed? 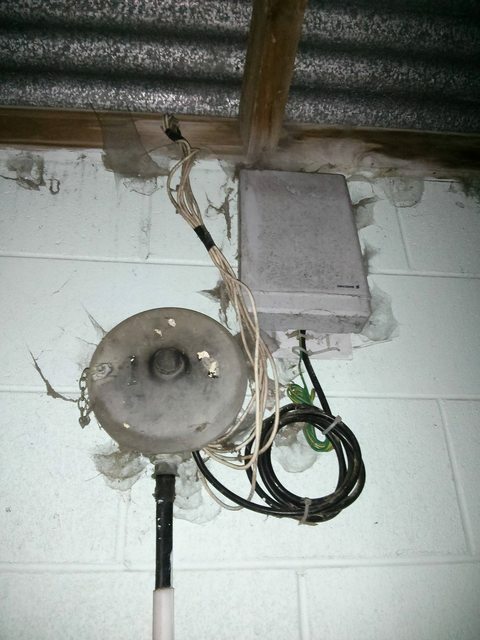 Would it be bypassed when a splitter/VDSL is installed, so the signal wasn't completely useless? Or would they just see it and refuse the install? 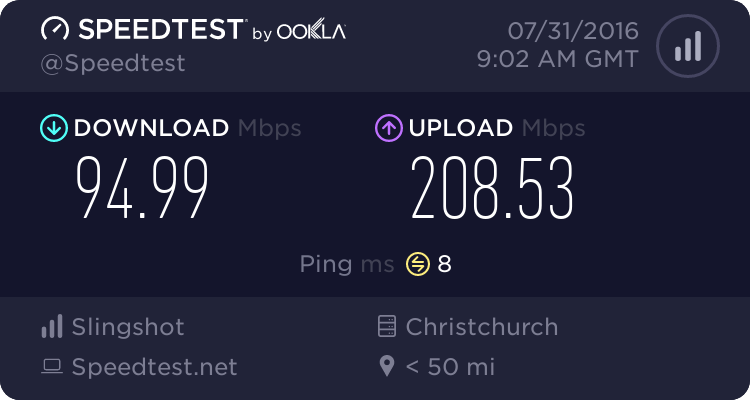 Though the exchange's VDSL ports are full atm, which is quite a disappointment, i believe ADSL2+ speed still could be increased. That the lead in can also be of very poor material? When i looked at it, it seemed to be quite a fat black cable, this terminal is feeding at least 6 units. Is it likely that also would be causing degradation, or is the lead in usually fine (not that itd be touched, just curious). 13 Mbps doesn't necessarily mean VDSL will be a no go. Mine wasn't much more pre-VDSL and I sync at 36Mbps on default TSNRM. And yeah, I wouldn't think they wouldt refuse install due to that. Seems like just the sort of thing the splitter install is supposed to overcome. Ah right, just wondered if it would be a problem because it was the end of the building where the line splits off to each unit whether there can be problems because its shared. It looks like it might be a single old white cable to the jackpoint anyway (though could have more joins in there). Well VDSL is a no go until someone hops off... i guess that means a splitter install has to be paid for in full. I'd do it myself with my spare splitter, but too much risk with other houses being present, don't want to touch a multi unit distribution. If you live in a VDSL service area then order the service from your ISP. If we need to install another VDSL line card as part of the provisioning we will. There is no reason for a customer to be "waiting" for service inside a VDSL coverage area. Snap did. They have signed him onto the VDSL plan (which gives higher data) but they said they were out of VDSL connections and would place him on a wait list for when one becomes available and someone leaves. I assumed this means that there are no ports left, but i'd have to clarify since this is 2nd hand information. I'll pass this information onto him. That is the terminal that is coming from the cabinet. The splitter will simply connect to one of the pairs in that terminal. What will (should) be 'bypassed' is that old tru-rip cable as the Chorus tech is required to run a new Cat6 cable from your jackpoint to the demarcation point which in this case is that old bell terminal. So they might bypass it or they might not, depending on the set up? Its down a 60 to driveway so the incoming cable is never going to be touched at least. eXDee: So they might bypass it or they might not, depending on the set up? Its down a 60 to driveway so the incoming cable is never going to be touched at least. No it definitely will not bypass that terminal as that is the feed to your block of flats. But if that is in multiples that cable will need to be cleaned up otherwise your VDSL will suffer intensely. Don't over think this too much. Just apply with an ISP and you will get VDSL sooner or later. Not my place, its a mates. Im just curious. He contacted Snap again, they said they are waiting for a new VDSL Line card to be installed the HNE exchange, and have to wait on this before a port is available. No time estimate. eXDee: He contacted Snap again, they said they are waiting for a new VDSL Line card to be installed the HNE exchange, and have to wait on this before a port is available. No time estimate. thats funny, one of the slingshot reps told me that ADSL and VDSL used the same ports, my cabinet is apparently out of ports so they were concerned that i might not be able to get VDSL but since i already had a port that wasnt a problem.